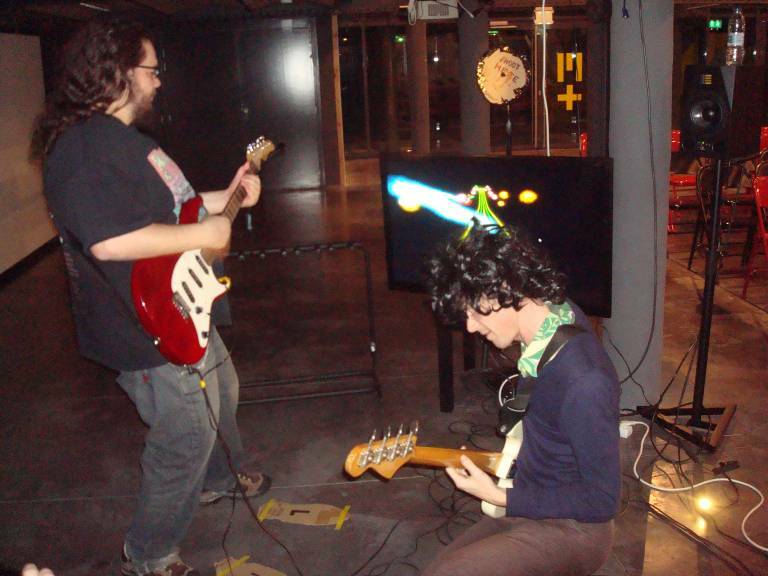 Rock'n'Dollz is a game entirely controlled by the sound of a guitar and a bass, and a camera with movement detection. 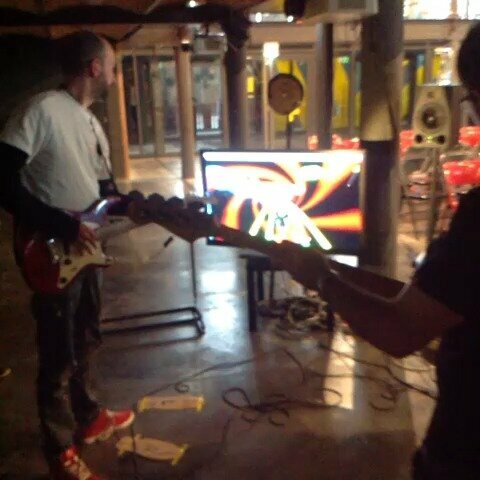 On their rocket-powered flying side-car vespa, the bass player will give them speed, while the guitar player will power the guitar-gun lazer in order to collect items on both sides of the track. Fun fact : You don't have to know how to play music!